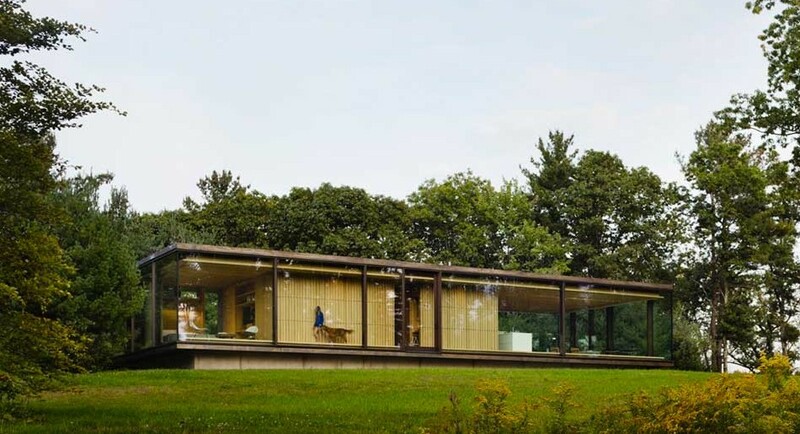 Manhattan-based architects Arjun Desai and Katherine Chia, the husband and wife behind Desai/Chia, were commissioned to design a Hudson Valley retreat that would combine the look and feel of Ludwig Mies van der Rohe’s ultra-minimalist Farnsworth House with high sustainable standards. 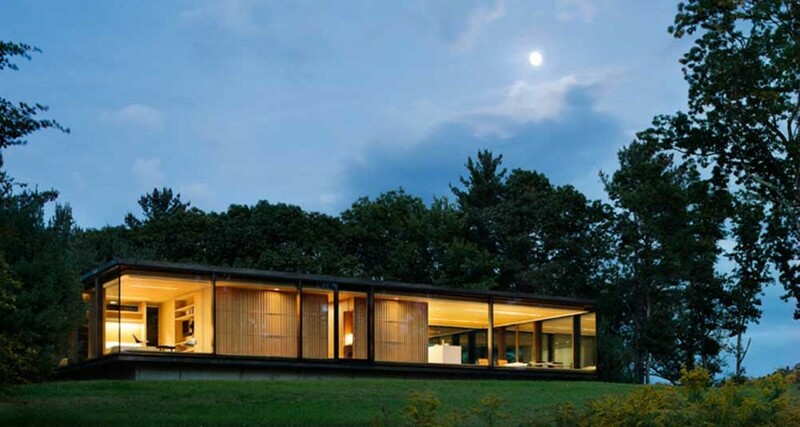 Situated on a rock outcropping overlooking a typical stretch of Dutchess County farmland, LM Guest House is a pre-fab contemplative retreat for weekend visits. 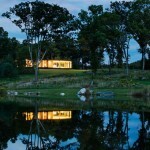 Its glazed skin affords expansive views, and among its planet-friendly features are geothermal heating and cooling, natural ventilation, solar panels, and a system for rainwater collection. 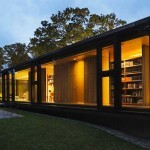 Established in 1996, Desai/Chia creates elegant and sustainable homes tailored to each client’s identity and lifestyle. 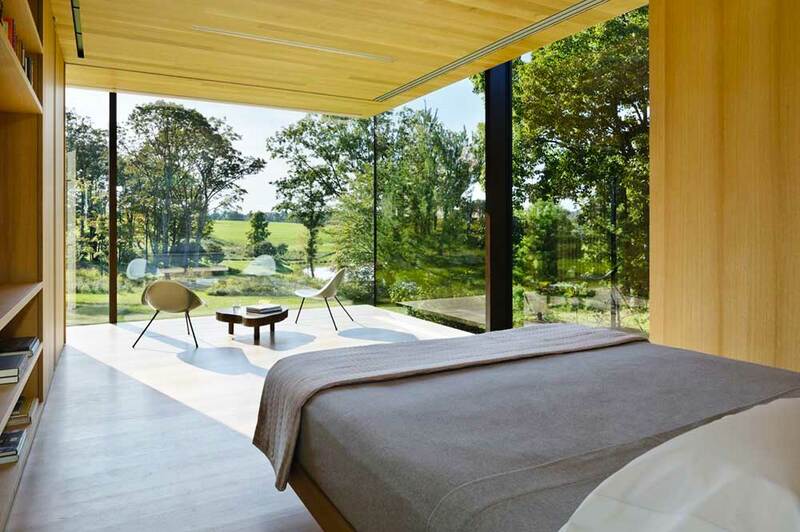 Their living environments have a holistic approach to progressive design with a deep respect for light, materials, without compromising budgeting and strict scheduling decisions along the way. 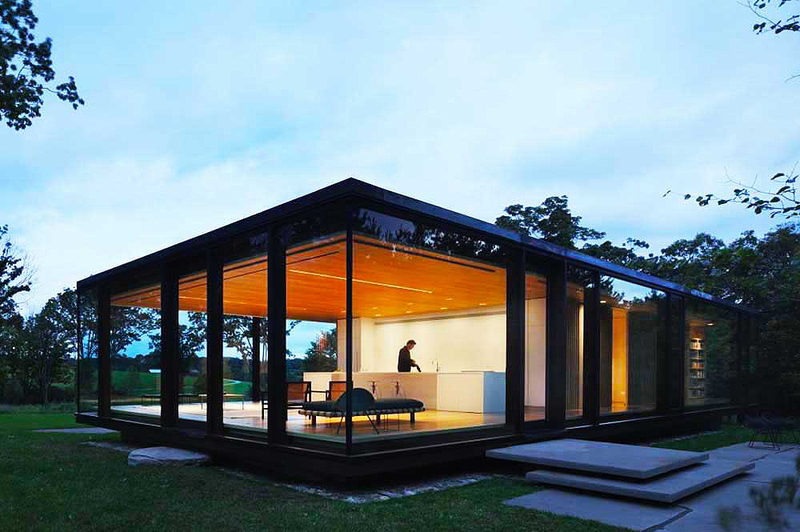 LM Guest House was commissioned in 2012 by a couple with two children who wanted the architects to reimagine the Mies classic as a state-of-the-art green house, minimizing the carbon footprint. 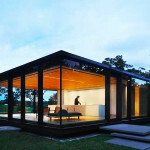 Its high-performance, triple-panel glass facade was pre-fabricated off site, shipped in one container, and erected in two days at the upstate site. 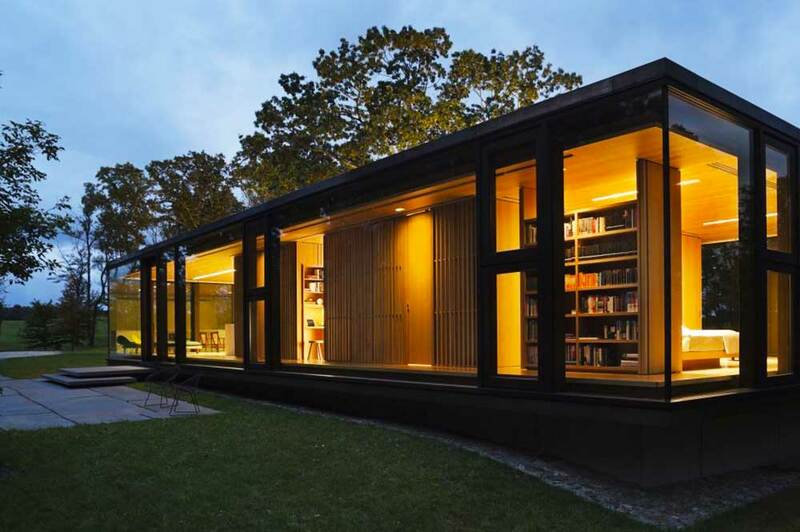 The open living and sleeping areas flow around a compact wooden core that disguises the mechanical, storage, and bathing areas. 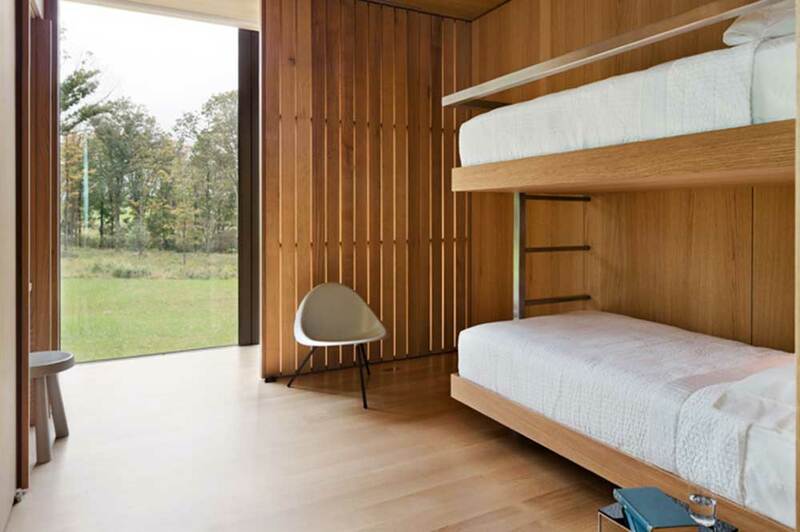 Two sleeping couchettes with built-in bunk beds provide extra accommodation for visitors, while natural white oak detailing adds warmth and texture throughout. The residence engages with sustainable strategies all throughout its 2,000 square feet thanks to structural engineering firm Arup, who generated free heating and cooling through geothermal energy, radiant floors, motorized solar shading, photovoltaic panels, and a rainwater harvesting system. See more stunning gateway homes by Desai/Chia here.